After Prestige Deck Coating installs your flashing, metal lathe, polymer modified concrete, and fiberglass layers, we continue to strengthen your deck. For full deck waterproofing success, we install a second deck waterproofing skim coat of polymer modified concrete! A huge advantage to installing a deck waterproofing skim coat layer is making sure it can stand up to years of wear. Whether harsh weather or people traffic, Prestige is dedicated to providing a sturdy and dry deck surface. We do not rush through any of these crucial steps. Your waterproofing success depends on this patient and skillful process. 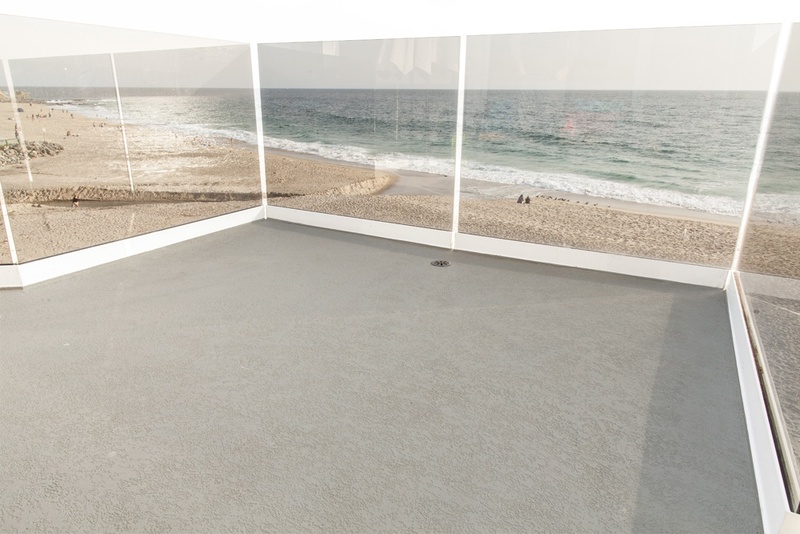 Watertight accuracy is what you can expect from Prestige Deck Coating and Waterproofing Company Orange County CA. We know that you want peace of mind with such an undertaking, and we warranty it for a 10 year commitment. Layer 4-Deck water[proofing skim coat.Once the fiberglass layer has slow dried for maximum impenetrability, it is time to apply layer three: the cement skim coat. Only half the material is used in this layer, as its main purpose is to produce an even and flat surface and to protect the fiberglass layer. It also helps the deck retain its flexibility. We specialize in waterproofing balcony decks, roof top decks, exterior stairways, and walkways. 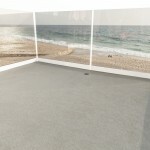 Our durable deck waterproofing skim coating can be installed over both plywood surfaces and concrete surfaces. Prestige has always been dedicated to the highest quality workmanship and excellent customer service. Follow us on the next blog entry as we continue this helpful summary of the most reliable and advanced deck waterproofing system in the Orange County CA area. At Prestige Deck Coating and Waterproofing in Orange County CA, you can expect craftsmanship mentality in properly installed deck waterproofing systems.